Here are some camping photos from my family archives. What I love about them is the simplicity of their camping! My dad and mum camping in 1948. Mum is taking the photo. 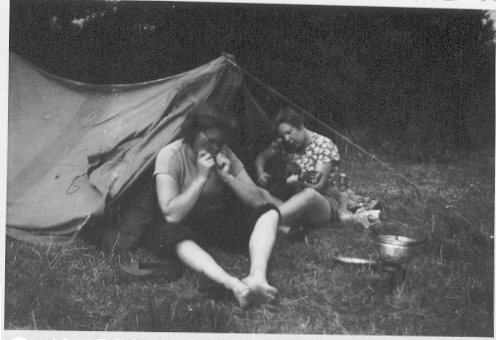 My mum and a sister camping. I don’t think they have mastered the art of pitching a tent. What is simple about camping with a guitar and dental floss? Two obvious items on the leave-it-at-home list, in my opinion. 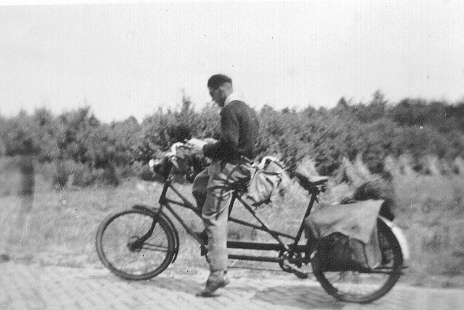 Ah Pieter, I love some of those photos from your old albums – and the memories they evoke. It evokes a different time – in fact a different world.